On the edge of one of the most beautiful National Parks in Uganda…Our latest and most remote property of Nature lodges, Kidepo Savannah Lodge does justice to this wildlife gem which has received several international awards as one of the greatest Parks of Africa. Being just 500 mt away from Kalokudo gate, the lodge is literally on a stone’s throw from the Park. It offers unparalleled vistas of the expansive Narus Valley, Mount Morungole and the distant mountain ranges which form the border with Southern Sudan. 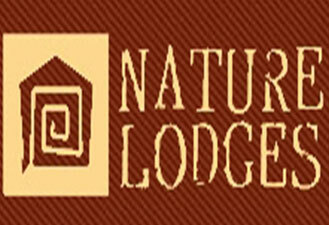 The lodge is inspired by the Savannah surroundings, the grasslands, rocky outcrops, and… by the karamajong, the tribe with their typical manyattas and colorful blankets. The lodge had to blend in rater than stick out, so we opted for a choice between the more luxurious self contained safari tents and comfortable lazy camping tents. Is a camp situated on a hill  in kidepo valley national park over looking the stunning Narus valley of the spectacular kidepo valley national park located in the north east part of Uganda. The camps name is derived from the local Karamojong people who live around kidepo the name Nga Moru means “place of rocks or stones” From the camp, one can have best views of the parks wildlife like ostriches not recorded to be in any other park in Uganda except a few in pian upe wild life reserve in south karamoja. Nga Moru camp, offers visitors true wilderness experience with three exclusive safari tents which can accommodate maximum of two people in each tent, the tents have wooden raised platform for better views and built in comfortable​ grass thatched  African style of a homestead with two self contained cabanas which can contain about four single beds in each also available. 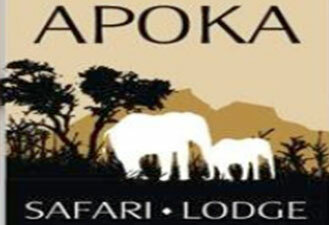 All accommodation here is en suite  with very hospitable and warm welcoming staff, the park is approximately located near karatum gate of kidepo valley National park just about 4kms from the camp. Children stay for half price at Nga Moru wilderness camp. The camp has got its own garden within the wilderness with various foods and serves mouth watering meals ranging from breakfast, lunch dinner. The rooms at Apoka have been built with comfort in mind. Everything is handmade by local craftsmen, everything is large and capacious. 10 expansive rooms with natural canvas walls surround a rocky kopje with endless views across the savannah. With inside sitting rooms and private verandas there are plenty of places to relax, read and sprawl. Big hand-hewn beds with soft duvets are draped with mosquito nets, hand-woven woolen carpets, extra large plush towels, over-sized dressing gowns…you may be as far away from the city as you’ll ever be, but you won’t miss a thing. Step outside to a sheltered terrace and slip into your own outdoor stone bathtub, big enough to fit the whole family.The swimming pool at Apoka Lodge – deep and cool – has been carved out of the big rock. This is the kind of pool that makes you want to jump in, splashing and yelling, feeling like a kid again. Meals: Guests are recommended to carry enough food as well as drinks to last them throughout their stay within the park. Cooking may be organized by the  staff of the camp and also other additional diet for example chicken plus goat meat may be organized from the close by community intended for visitors that plan to stay for a longer time. You will find Bandas offered at a financial budget price, carry your own food and even find the toilet facilities just outside the Bandas or your cabins. The spectacular rocky attractiveness of Kidepo Valley National Park combined with the wild animals that waits are going to be well worth it.